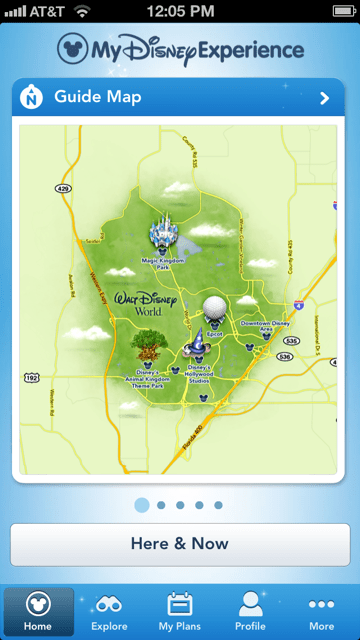 Disney World has an official app called “My Disney Experience” available for free on iTunes and the Google App store. 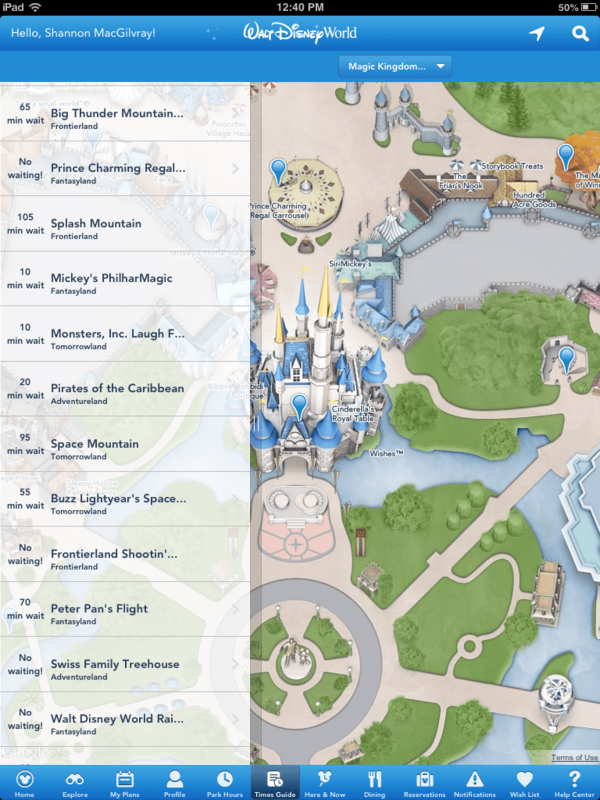 There are a number of things you can do with this app that makes it a necessity for any Disney vacation. In my opinion, there is no need to download any other app created by a third party. 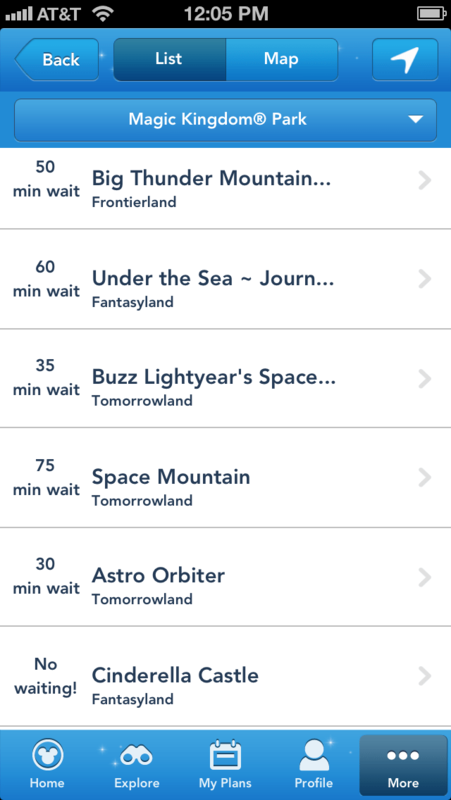 There are tons of apps, free and paid, that have Disney World maps or ride wait times. Why not get it from the source? And for free! Become familiar with the app before leaving home. There is a lot of information included, and some of the important stuff isn’t as obvious as it should be. 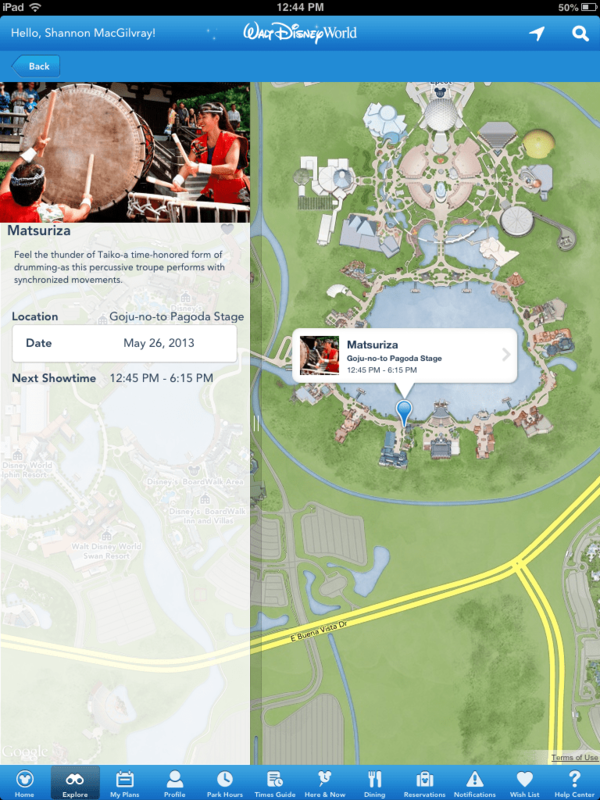 Getting to know the app will definitely create less frustration in the park. 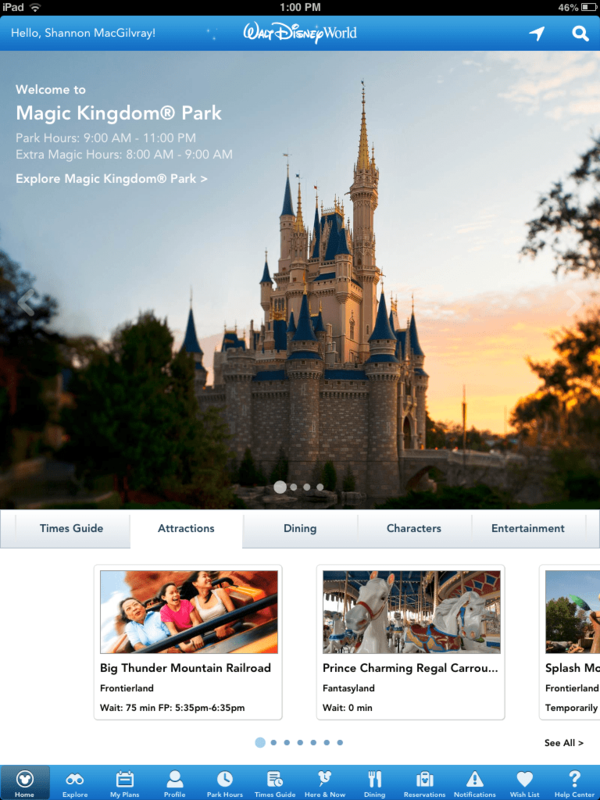 It should also be noted that you will have to signup for a Disney account if you don’t already have one. Some of the features require signing in. After playing with the app on the iPad and an iPhone, I definitely like the iPad version better. However, I really don’t want to bring my iPad with me into the park, so I’m going with my iPhone. 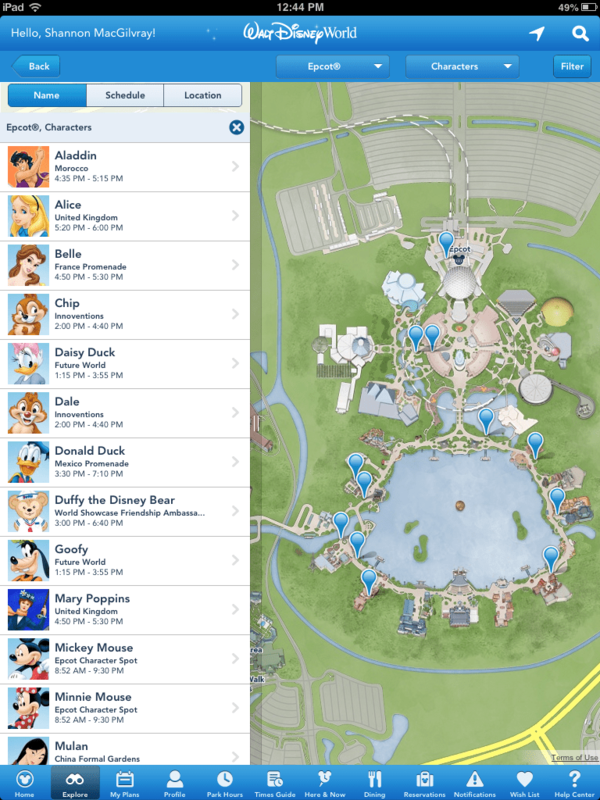 If you’ve been hanging around any of the Disney message boards, you may have seen some complaints regarding tablets in the park. These have to do with blocking someone’s view while recording video or taking photos of an attraction. If you do bring your tablet into the parks just be aware of others around you. 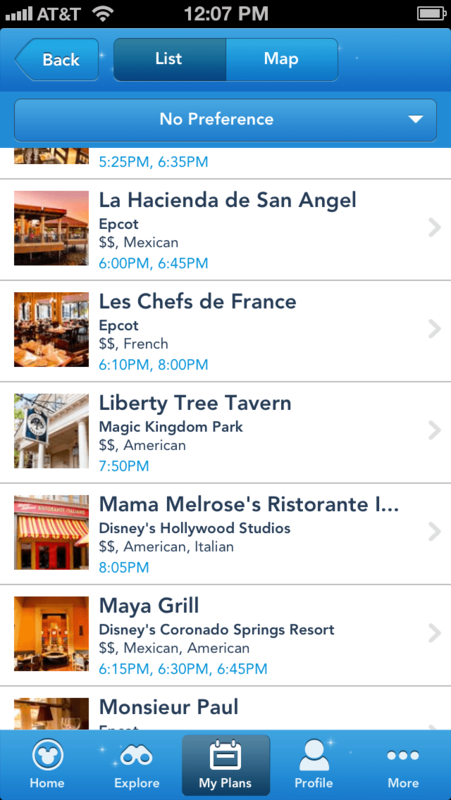 If you’d rather not download the app, you can do everything on the My Disney Experience website as well. What I liked about the website is that some of the restaurant menus have calorie counts and allergy warnings. 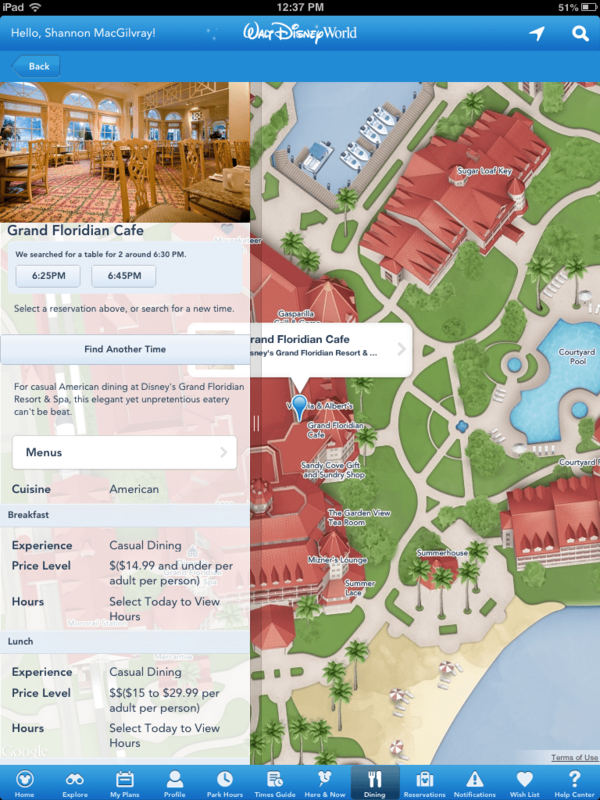 I’m SUPER excited about the planned upgrades for My Disney Experience. 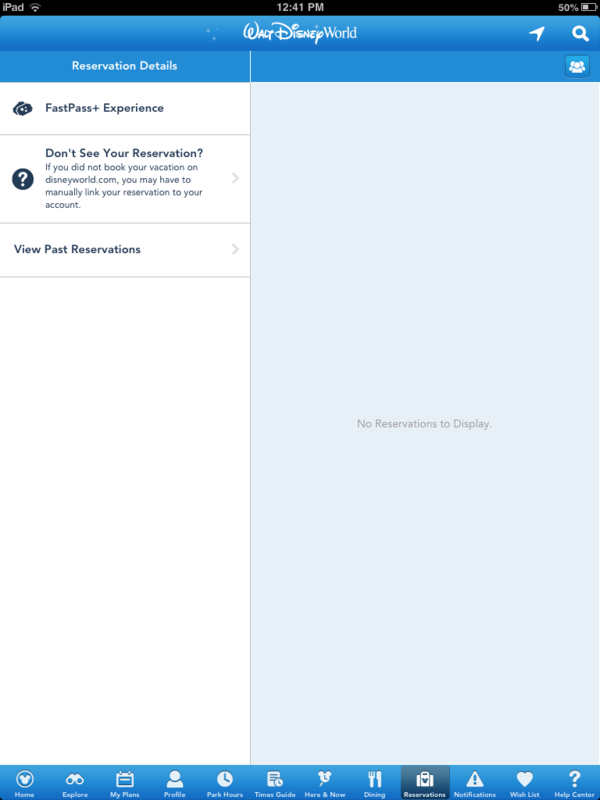 These upgrades have to do with FASTPASS+ where you’ll be able to reserve FASTPASS times in advance of your vacation, or make them on the spot with the app. It will also link into a MagicBand which is a RFID-enabled bracelet that will open your hotel room door, act as a park ticket, and rumored to create some extra magic in the parks for your family. There haven’t been a lot of official press releases, but as soon as more information is available we’ll be sure to cover it. 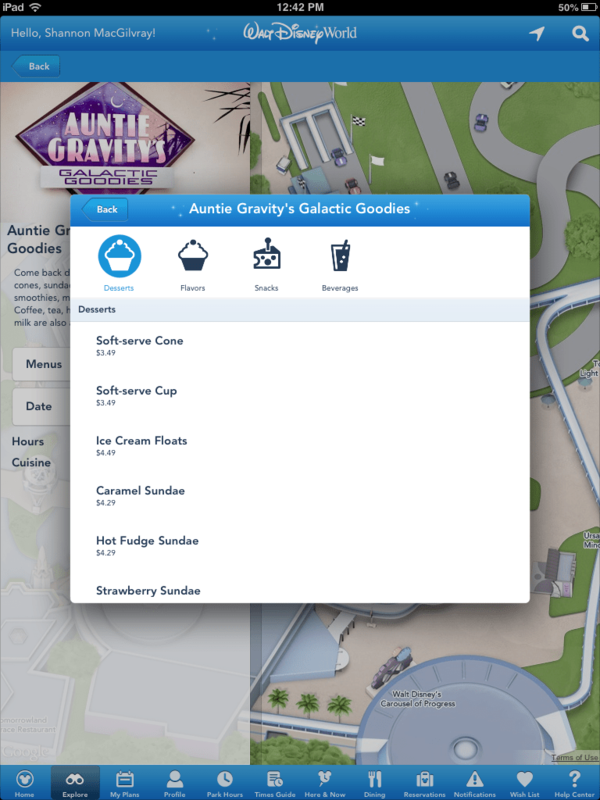 I’m excited to try this app out in the “wild” next week in the parks. Look out for updates!